The man and I are now heading for the first REALLY big test of our relationship. We’ve successfully negotiated Christmas, New Year, various family get-togethers and moving in together, and now we have the ‘first holiday’ trial! Of course, holidays shouldn’t be a trial, and I’m sure this will be lovely. We’re heading to Tenerife for ten well-needed days in the sun together, roaming email will be switched off, and I’ve been instructed that I am not allowed to take any work calls, answer any work emails or do anything work-related whatsoever. Apparently I work too hard! So far, so good, I’m not going to be arguing with that anytime soon. At the moment, with me working from home and him working odd shifts, we’re a bit like ships passing in the night. He’s just coming home from a night shift as I’m on my way out to see someone, and he’ll quite often be asleep on the sofa as I’m working. So ten days in each other’s company, no work to distract us (or Jeremy Kyle in his case) is going to be interesting. My prediction is that we’ll have a brilliant time, the worst thing that will happen is sunburn (well it’s supposed to be 25 degrees out there in March) and no doubt he will spoil me with loveliness on my birthday while we’re away. Yes, I did say it was my birthday in March. March 10th actually. That’s today! Oops, I said it again! 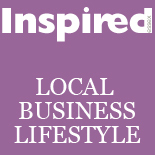 This entry was posted on March 10, 2012 by inspiredessex in Chatty, Essex and the Not-so-Single Girl, Ladies Time Out, Magazine, What we're up to and tagged essex lifestyle, Inspired Essex Magazine, Magazines in Chelmsford.